Strip Trip Photos of the Week! 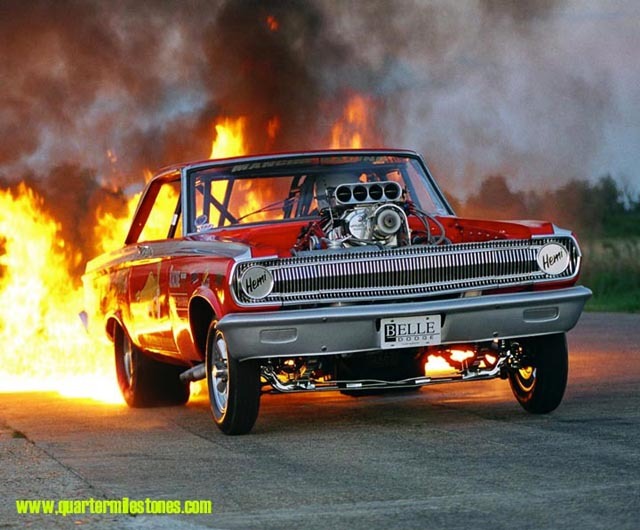 THIS WEEK'S "TRIP TO THE STRIP"
"HERE COME THE FUNNY CARS!" NHRA U.S. Nationals Indianapolis 1970 – the first year the class was contested season-long by NHRA. 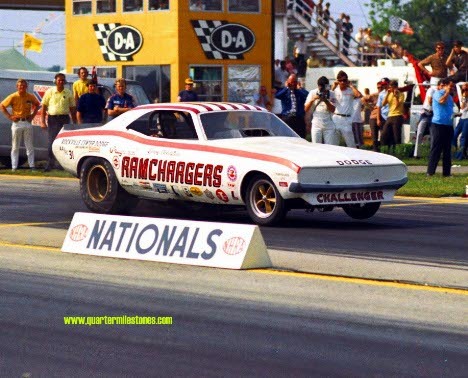 Leroy Goldstein and the Ramchargers' feared Dodge Challenger gets after it in round one against Larry Arnold, and subsequently wings through the timers at 6.85, the team's third run in the 6.80s that weekend. He lost to Schumacher when the Challenger went up in smoke in the final. 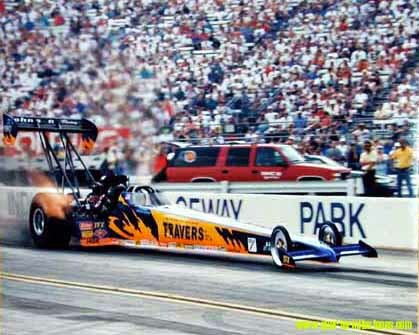 This was the first car to break the six-second funny car barrier, doing so earlier that August. RAY MANN VINTAGE DRAG RACING PHOTOS – Classic magazine-quality action images of drag racing's "golden age." The U.S. Nationals, Dallas, Tulsa, Ontario and more! NITRO HALLUCINATION and MORE DRAG RACING HISTORY STORIES – the complete and unabridged story of George Ray's outlaw track and more! BLAINE JOHNSON'S LAST LAP and MODERN PHOTOS – my own decade of thrills and a look at some of the "big ones."